Geometry defines the world around us, helping us make sense of everything from architecture to military science to fashion. 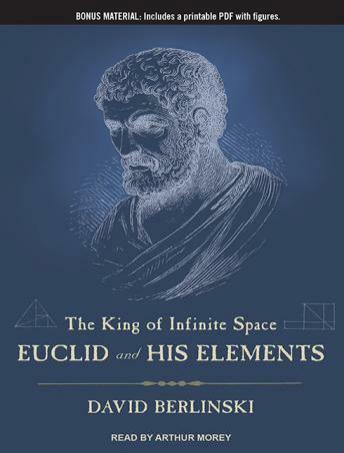 And for over two thousand years, geometry has been equated with Euclid's Elements, arguably the most influential book in the history of mathematics. In The King of Infinite Space, renowned mathematics writer David Berlinski provides a concise homage to this elusive mathematician and his staggering achievements. Berlinski shows that, for centuries, scientists and thinkers from Copernicus to Newton to Einstein have relied on Euclid's axiomatic system, a method of proof still taught in classrooms around the world. Euclid's use of elemental logic-and the mathematical statements he and others built from it-have dramatically expanded the frontiers of human knowledge.